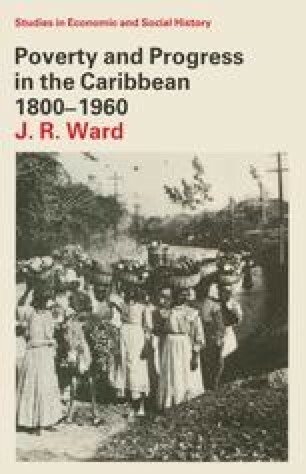 The modern Caribbean is sometimes described as ‘underdeveloped’ or ‘developing’, part of the ‘Third World’, and calculations of production per head of population (see Table I) suggest that such terms are reasonable.1 Clearly, however, there are wide variations in fortune within the region. A few territories seem quite prosperous by international standards, and only Haiti approaches the acute poverty of tropical Africa or South Asia. Nevertheless it is still useful to consider the Caribbean as a whole, to emphasise its recurrent and distinctive features.